It’s amazing how such a small member can wreak so much havoc one moment and yet be sweet as honey the next. Should this be the normal way of life for a teen girl who is a believer? Absolutely not! The teen girl who is being led by the Holy Spirit, producing the fruit of the Spirit, does not struggle with her tongue but has command over it. She has learned to control the sin of gossip. The weak minded teenager, however, does not share in this. Not only is this weak minded teen allowing the devil to control her, she does not have the sense to get into the Word and allow the Word to keep her from sin. Thy word have I hid in mine heart, that I might not sin against thee. (Psa 119:11 ) Instead, this weak minded believer relies on what is in her heart to guide her. If the heart is ruled by sin, it won’t guide this person to anything but trouble. How can a heart filled with gossip allow the tongue to speak kind words? The weak minded teen girl thinks she can fool those in her church by pretending to be a good Christian but then gossip and strife come out of her mouth only to reveal her true colors. The Word says that this is wrong! Out of the same mouth proceedeth blessing and cursing. My brethren, these things ought not so to be. (Jam 3:10) This gossip stirs up strife and sows discord. I’ve yet to meet a gossip who has not caused much problems. 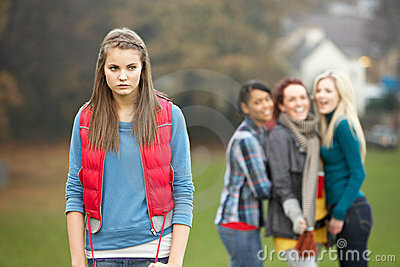 How can the church have a sweet spirit when there’s a teen girl who gossips in its midst? That gossip not only hurts people with her tongue, but she is also known as a sower of discord! If you want to see just how God feels about a gossip, a sower of discord, all you have to do is search for verses with the words “God, hates” and it will be an eye opener! God hates the sower of discord! It does not say He hates the sin – but he hates the one who sows discord. In fact, it is an abomination to Him. Prov. 6:16-19 , “These six things doth the LORD hate: yea, seven are an abomination unto him: (16) A proud look, a lying tongue, and hands that shed innocent blood, (17) An heart that deviseth wicked imaginations, feet that be swift in running to mischief, ( 18 ) A false witness that speaketh lies, and he that soweth discord among brethren. (19) A gossip is not only a liar but that gossip is also one that sows discord among the brethren (meaning in church). I have witnessed this gossip in action. I have witnessed this sower of discord in action. These “supposed” Christians have allowed the devil to rule in their lives. Yes, the devil can rule in a Christian’s life. Even Jesus had to rebuke Peter and tell him that the devil was ruling. But he turned, and said unto Peter, Get thee behind me, Satan: thou art an offence unto me: for thou savourest not the things that be of God, but those that be of men. (Mat 16:23 ) Jesus was not saying that Peter was possessed by a devil. Jesus was stating that Peter was allowing the devil to rule in his life and Peter’s words were evidence of it! What words would be evidence for you, teen girl? Whose reputation are you destroying today? Jesus did not mince words. He did not sweep Peter’s conduct under the rug. Instead, Jesus brought it out and exposed it. So, what is considered gossip? If you want to steer away from even the appearance of evil on this one, consider gossip as anything that is said about someone that is not gracious and kind. Many disguise their gossip with statements like, “Bless her heart, she just doesn’t have enough money to buy a dress that would cover her whole body!” Teenager, don’t be fooled. You can only spray Febreeze on a skunk so much but his scent will come right through it! Don’t allow the devil to rule over your mouth. Yes, I said “allow”! It is your choice to gossip. Recognize the sin of gossip … repent … confess it … seek forgivness from those you have hurt … forsake it. Then fill your heart with the precious Word and allow it to cleanse you, keep you clean, and prevent you from falling. Have You Strayed from God?